Luohe Shuanghui Imp& Exp Trade Co.,Ltd. Shuanghui Gourp(Shineway Group) is a large-scale food-processing group,established in 1958,with nearly 50 years experience in meat processing.Shuanghui Group is the largest slaughtering, meat and canned food processing base in China.It has 56 subsidiaries and 15 modern slaughterhouses around China, which can slaughter 40,000 hog and process 4,000 tons meat products per day on average. Shuanghui Group introduces advanced techniques and equipments from Holland, Germany, and Korea etc.. Complying with the EU food standard and USDA export standard, it adopts three-point low electrical volt stunning, steam tunnel removing hair, polishing clean, synchronous inspection, two-section pre-cooling,metal detection, automatic temperature controlling system and so on. It has achieved complete pre-cooling during hog slaughter. 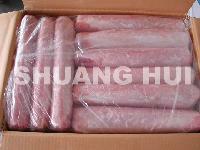 Cuts of frozen pork include 260 items. 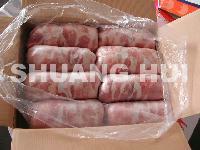 The chilling pork produced under strict techniques ensures the safety, sanitation and nutrition of the meat. As a bridge to connect the world,Luohe Shuanghui Imp.&Exp. Trade Co.,Ltd. is devoted to becoming a world-wide frozen food supplier,catering to all the world? 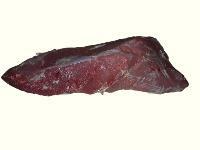 The main export products include all kinds of meat,meat production,vegetable,fruit and other products. We cordially invite friends from all over the world to do business together. 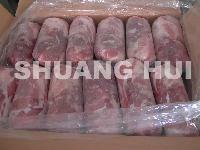 Company Name : Luohe Shuanghui Imp& Exp Trade Co.,Ltd.